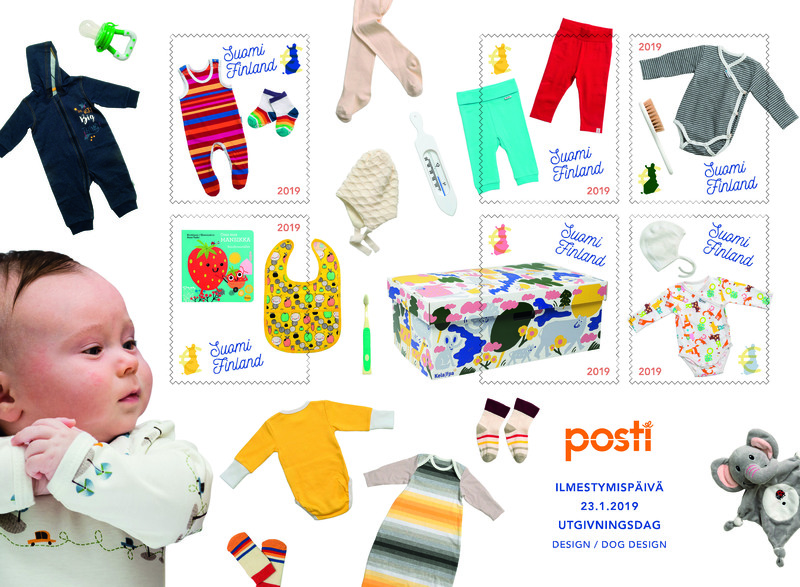 Description: The baby box is a unique Finnish innovation that has also been recognized and praised internationally. The miniature sheet illustrates the contents of a baby box and the box itself, which may be used as the baby’s first bed. Every year, the Finnish social insurance institution Kela distributes around 40,000 new baby boxes to expectant mothers. The contents of the box change every year.